Description: 29A. Black. 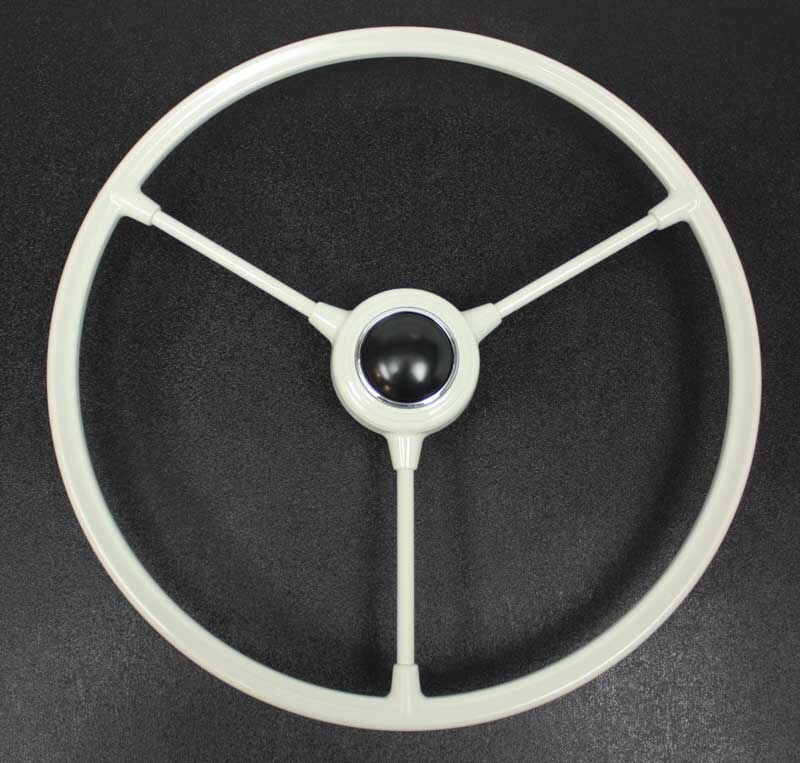 An exact replica of the famous "Barndoor" keyed steering wheel from 29A. Includes button. Unlike other poorly made replicas on the market, this wheel has almost no flex. This wheel will fit late '52 through '67 buses. Please note when using this wheel on a '56-'67 bus, there is no provision for a canceling ring. Available in Gloss black, Ivory and Silver-Beige (light grey).